The word ‘rasenchi’ means Rum Raisin in the local tongue on the island of Curaçao. The fact that we created a Rum Raisin Curaçao Liqueur is no surprise because this flavor is widely popular on the island. If you ever try a Rum Raisin ice cream you would understand why it is a favorite of many locals. 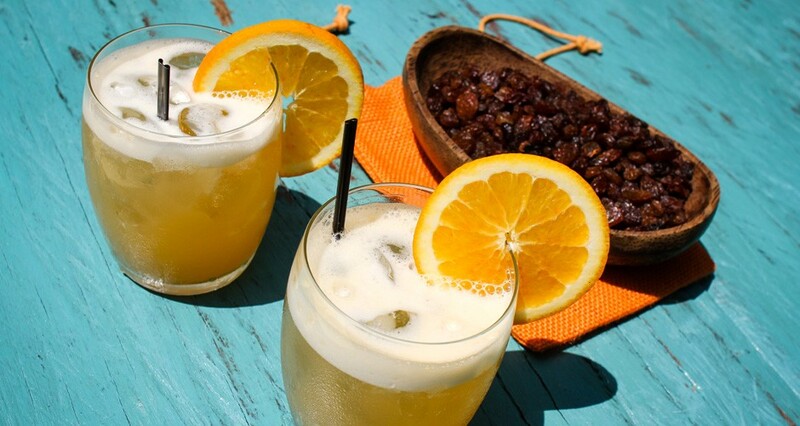 Inspired by the island we took the Rum Raisin Curaçao Liqueur and paired it with Rum for a deeper Caribbean flavor. Add all the ingredients in the shaker and fill with ice. Shake well and strain into a glass with ice. Garnish with orange slice.